Lumineers are perfect for patients who have slight gaps between front teeth or tooth discoloration. Unlike traditional dental veneers, Lumineers are thin enough that we don’t have to remove natural tooth structure. Keep reading to learn if Lumineers is right for your smile. Lumineers are thin pieces of resin that slip over your existing teeth. The resin’s color is expertly blended to match the shade of your teeth, or the shade you hope to achieve. During the procedure, the Lumineers are bonded to your teeth to ensure a precise and comfortable fit. These dental veneers give you the appearance of white evenly-spaced teeth. Lumineers are perfect for fixing small cosmetic issues like stained teeth or slight gaps between front teeth. If you have more serious issues like an overbite or crowded teeth, our cosmetic dentist may recommend orthodontic treatment. The cost of Lumineers will depend on the number and size of the teeth you want to fix. For example, Lumineers for large teeth tend to be more expensive because they need more resin and time to bond properly. The position of your tooth can also affect cost. It’s a good idea to check what your dental insurance policy covers before scheduling your appointment. How can I get Lumineers? During your consultation, our Lumineers dentist will sit down with you to discuss your cosmetic dentistry options. If our dentist determines you are a candidate for Lumineers, we can begin treatment as soon as possible. During your first visit with us, we will take dental impressions. We then send these impressions to the Lumineers lab with other pertinent dental records to create your custom Lumineers. When you return for your second visit, we will be ready to bond the Lumineers to your teeth. The procedure is relatively painless and the vast majority of our patients are able to resume their everyday activities after their Lumineers have been placed. Even though Lumineers are thinner than traditional dental veneers, they are durable enough to last over 20 years with proper care. You will eventually have to replace your Lumineers during your life, usually every 10 to 15 years. However, Lumineers have been known to last up to 20 years with proper care. When you’re ready for your replacement veneers, schedule an appointment with our office. Like with your originalLumineers teeth, we will take impressions of your bite before sending them to the lab to have your custom Lumineers made. For your next appointment, we will bond the specially crafted resin to your teeth. 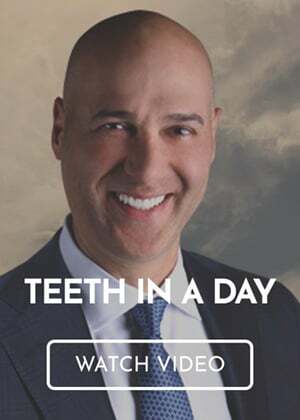 Dr. Ara Nazarian at the Premier Dental Center is dedicated to helping you achieve your best smile by offering Lumineers teeth and other cosmetic dentistry services. To request an appointment with our Troy, MI Lumineers dentist, call (248) 206-2495.